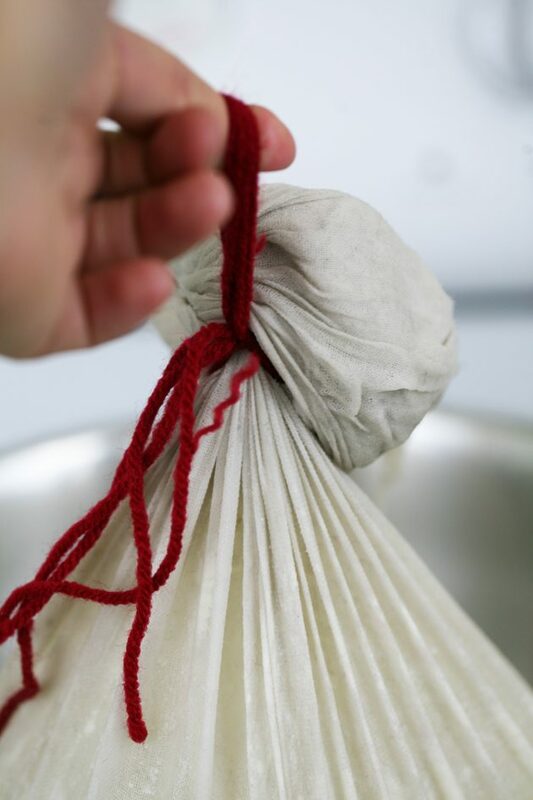 If you are new to cheesemaking this is a great place to start. 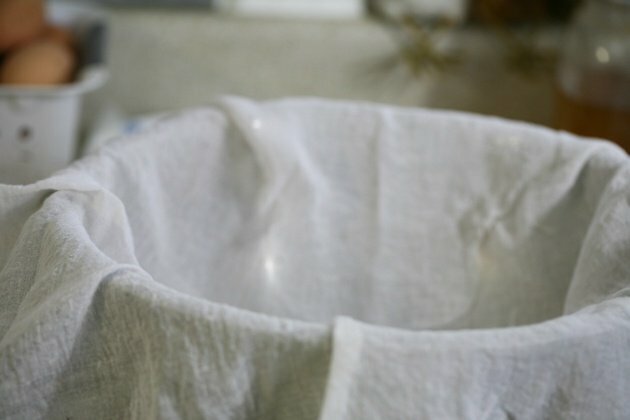 You don’t have to have raw milk, you don’t have to have fancy goat milk (although this cheese will work amazingly with goat milk), You don’t have to have an expensive cheese press, or cheese molds, or other crazy equipment. 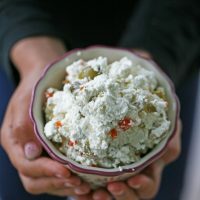 This recipe will produce a lot of soft, spreadable cheese that you can season however you like. Our favorite thing to add to it is olives. 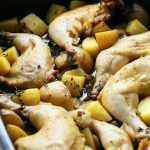 So in this post, I will show you how I make it with olives and then at the end I’ll have a list of other things you can season it with instead or in addition to the olives. And a long, slotted spoon. 1 teaspoon cheese salt or kosher salt. 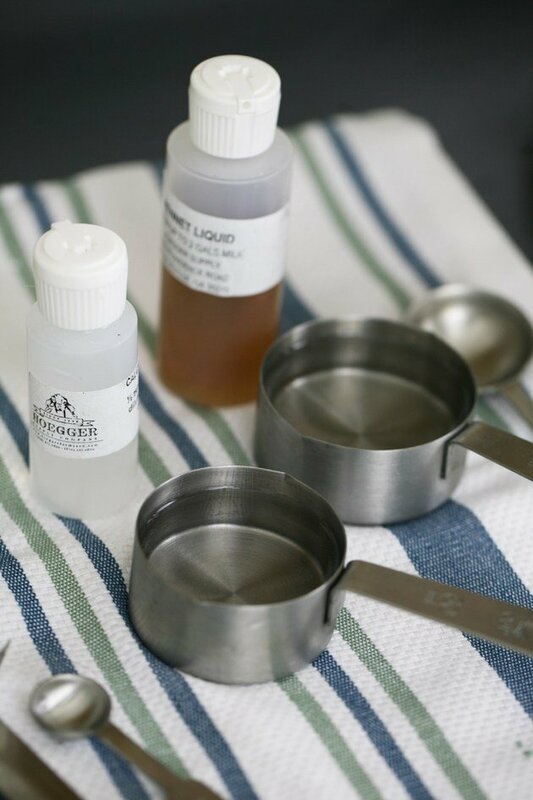 I buy all of my cheesemaking equipment, including the rennet and cultures from Hoeggers Supply. 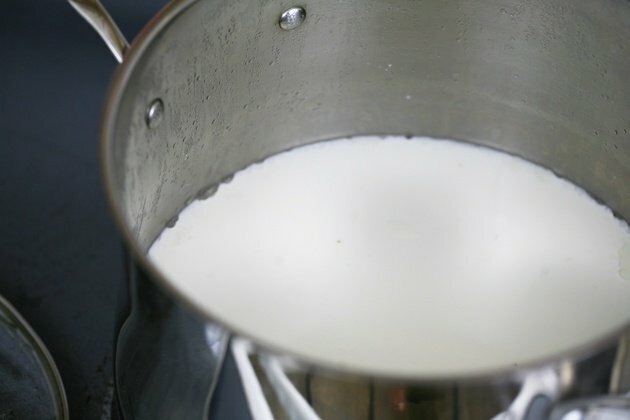 I used a gallon of store-bought whole milk in this recipe but you can make it with 2% milk or, of course, raw milk. Goat milk will work great as well. 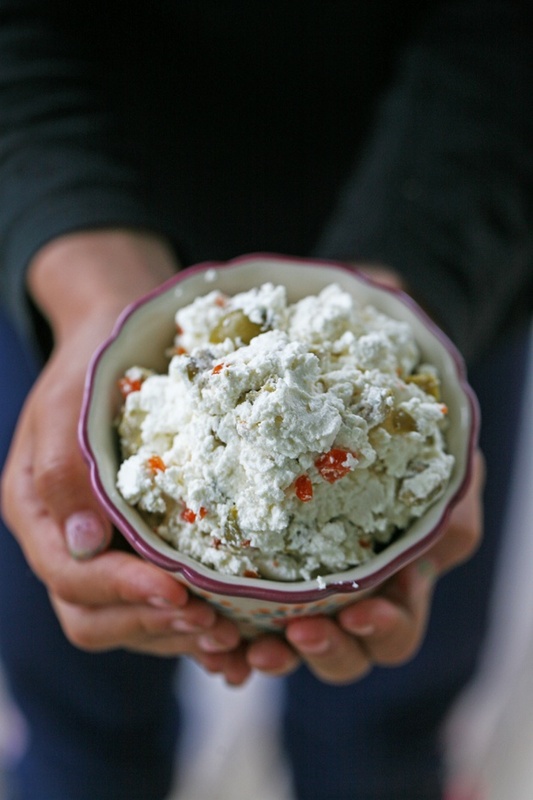 In fact, the name chevre cheese means goat cheese in Franch. But you can see that I am not great at following rules so we are going to take it a different direction here. 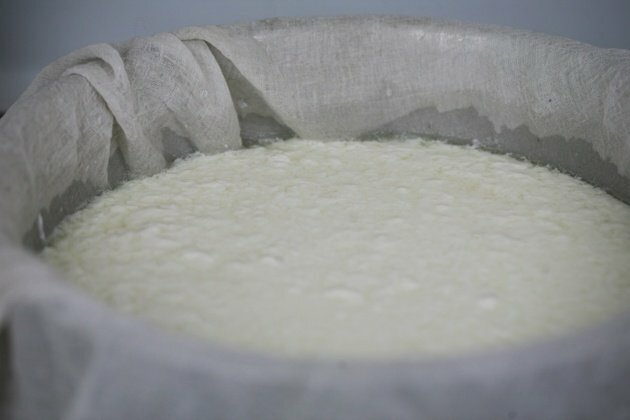 You can count on it that in a few weeks when I start milking my goats, this will probably be the cheese I’ll make the most because it is just very tasty and super simple. 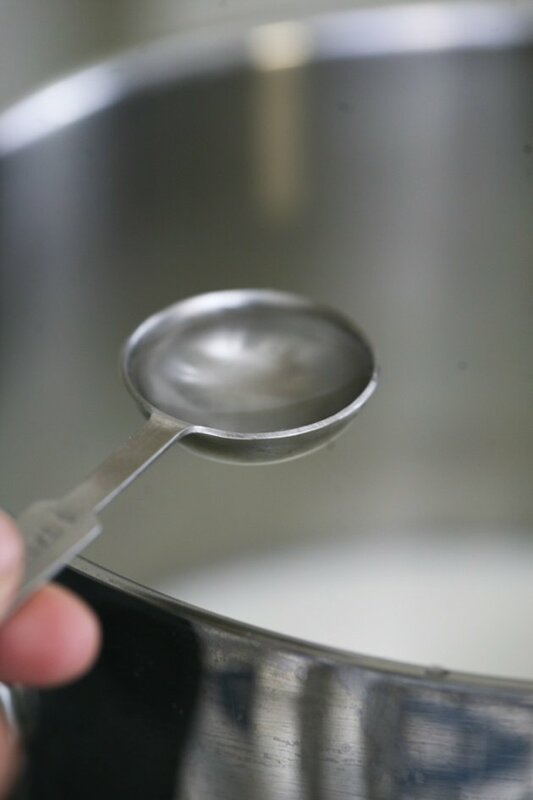 Anyway, add your milk to a stainless steel clean pot and with the slotted spoon stir the milk while heating on medium heat to 80F. 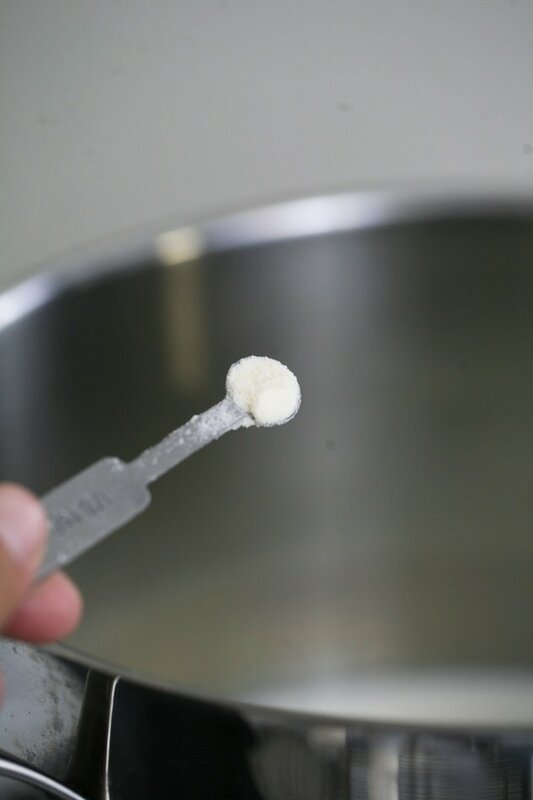 Once the milk is at 80F, remove the pot from the heat and add the DVI culture. Stir well until it dissolves in the milk. 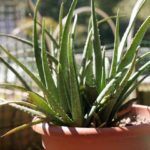 Next, dilute 3 drops of liquid rennet in 1/3 cup of cool water, and 1/2 teaspoon of calcium chloride in 1/4 cup cool water. Here is the thing about calcium chloride. 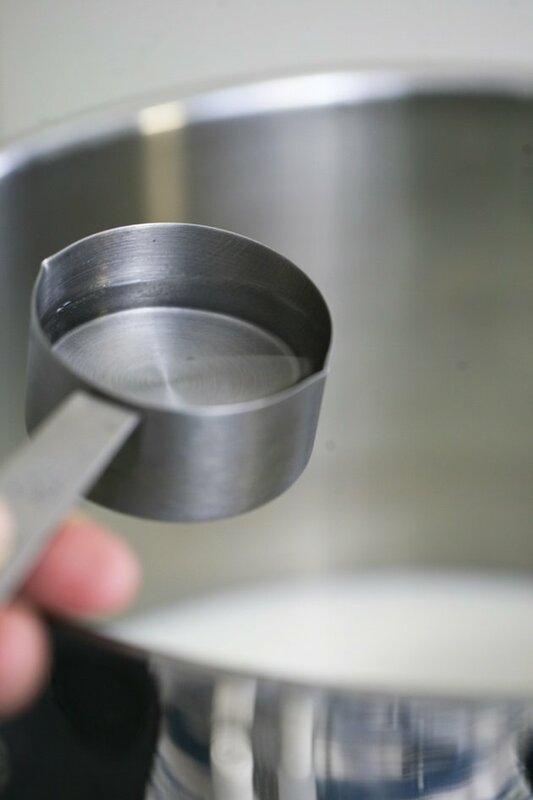 It is only used when making cheese with store-bought milk. 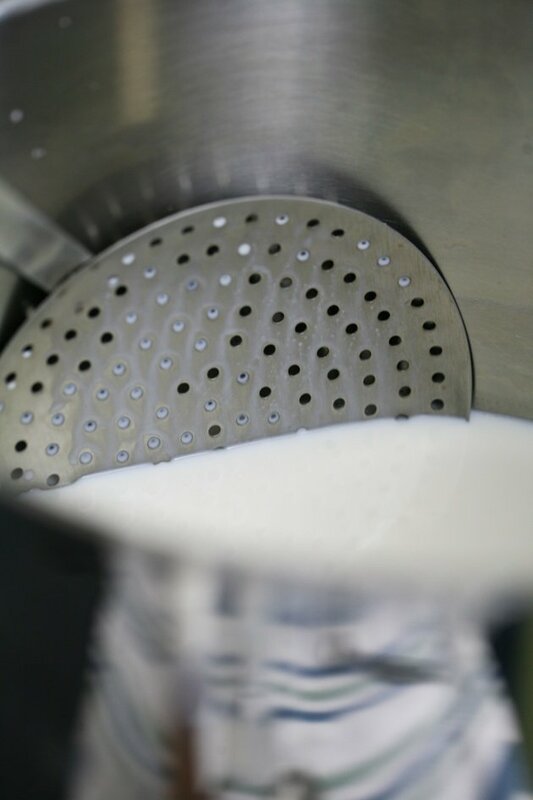 Since store-bought milk has been processed (homogenized and pasteurized) it will not give a good set without the addition of calcium chloride. 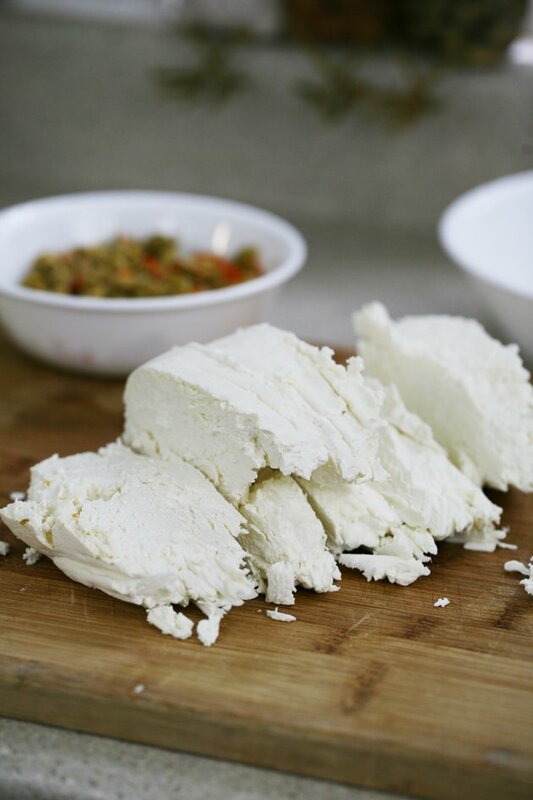 However, soft cheese, since it doesn’t have to have a hard set does not require calcium chloride. So if you like, you can go ahead and leave this out. I use it because I like my cheese a bit of the firm side. Also, make sure to leave it out if you are using raw milk. Then, grab the cup with the diluted rennet and add two tablespoons of diluted rennet to your milk (NOT the whole cup, just two tablespoons). Then cover your pot and you are done. For now. 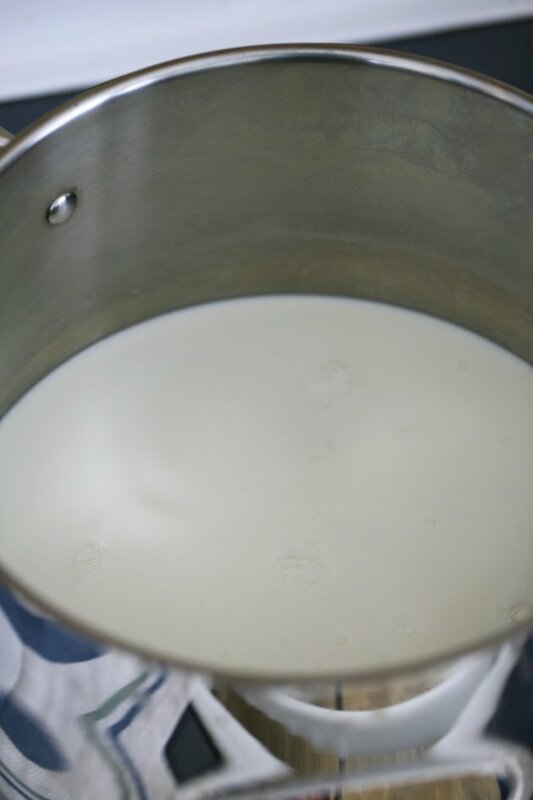 You have to let the milk sit for 8 to 12 hours. I usually do this first part at night before I go to bed. In the morning, your milk will look just like yogurt. And pour your yogurt-looking milk into it. 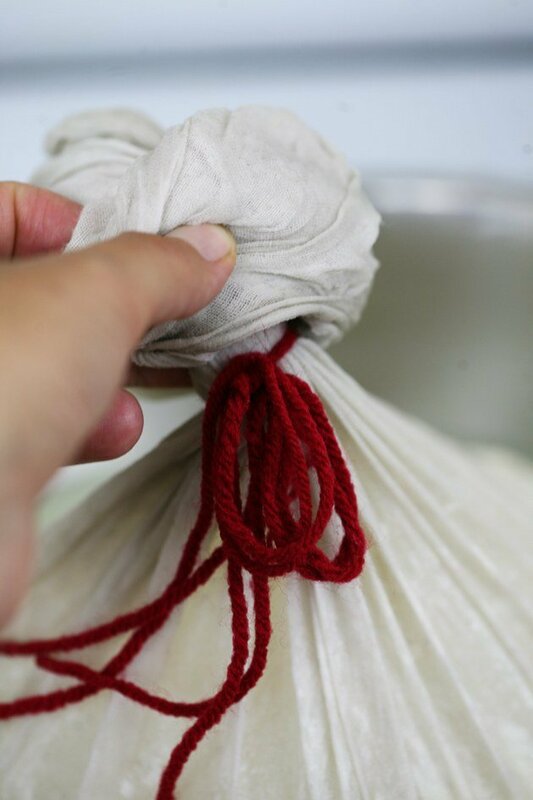 Gather the ends of the fabric and tie the bag. I use yarn but you can use any type of string or shoelace. 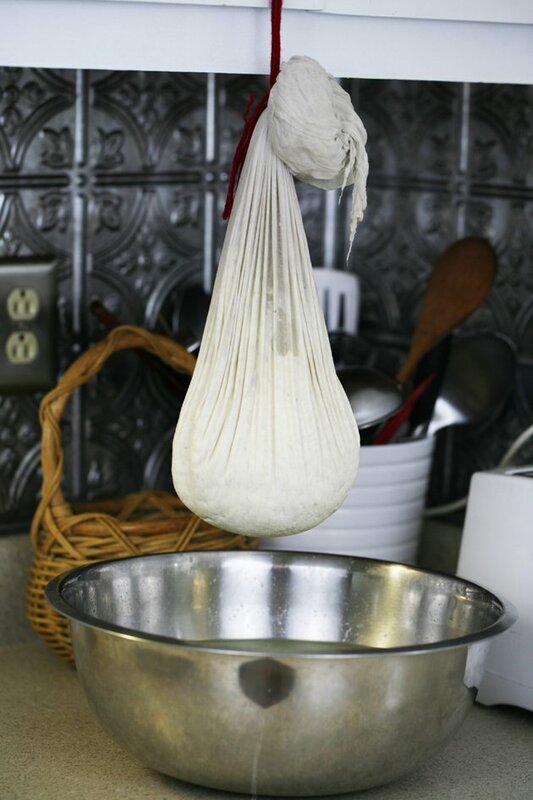 Gather your loops and hang the bag over the bowl (I hang it on the handle of my top kitchen cabinets) to drain. 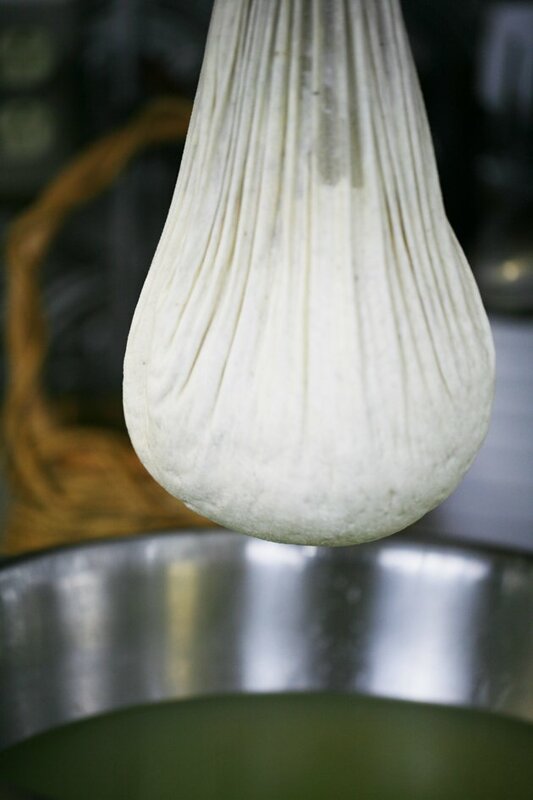 The length of time of draining depends on how firm you like your cheese. I usually leave it hanging for the whole day and get to the last part after the kids go to sleep that night. But I will say that you have to leave it a minimum of 6 hours. This is how it will look that night. Another look. It’s now ready for the last part. Don’t forget to keep your whey for bread making or to give to the animals. I give it to my dogs and chickens. 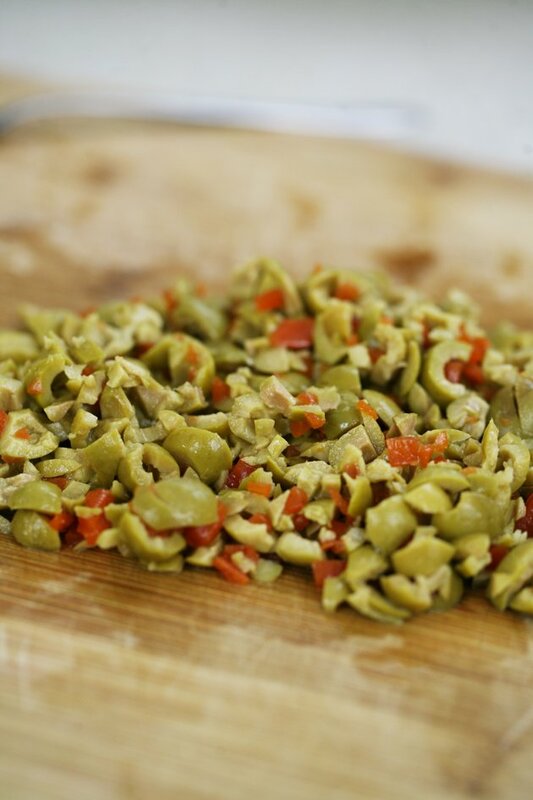 Chop about 1 1/2 cups of green olives (or any other kind of olives you like) into small pieces and set aside. 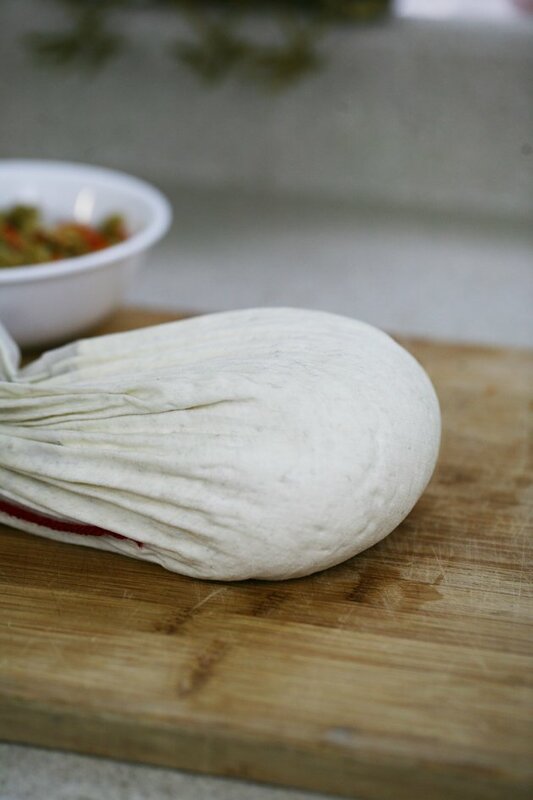 Take it out of the cheesecloth and cut it into big chunks. Transfer it to a bowl and crumble it. Add a teaspoon of cheese salt or kosher salt and add your olives. Mix it all together and you are done! Your cheese is ready to eat right away. Keep it refrigerated. Cayan pepper or jalapenos if you want spicy cheese. Chives, dill, or green onions. Or you can try to make it sweet too, for example, add blueberries or strawberries or raspberries. Then instead of the salt add a bit of sugar or honey. I didn’t try this yet, but it should work just fine. 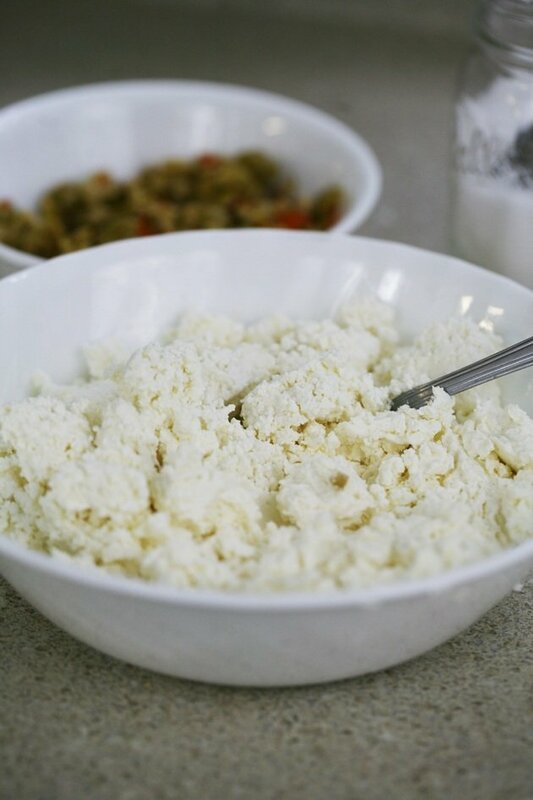 Making homemade cheese doesn’t have to be complicated. 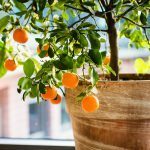 You will have to make sure you have the right equipment on hand before starting but if you invest a little bit in buying good equipment it should last for a long time. Also, the rennet and culture will last you for a long time too, just make sure you keep your culture in the freezer and your rennet and calcium in the fridge. You know those seasoned little containers of cream cheese? If I am not mistaken, those cost between $3-$4. 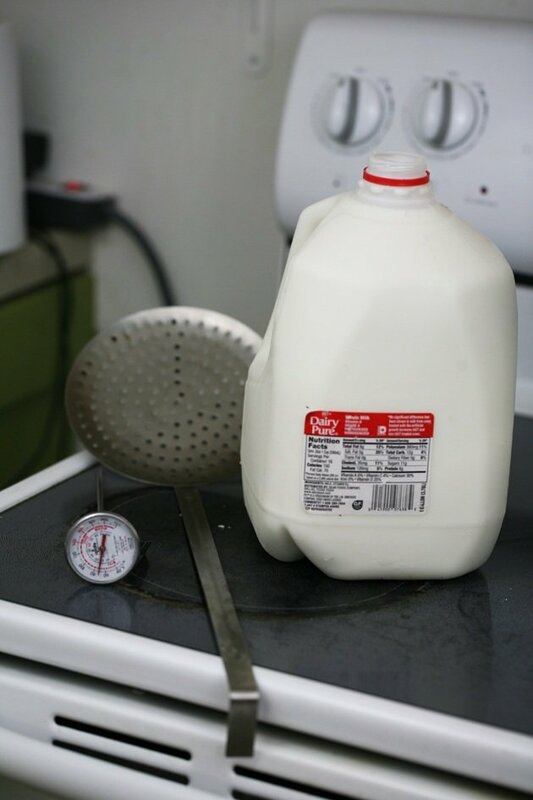 With one gallon of milk, around $3, you can make a whole lot more cheese, probably 5 or 6 times the amount. 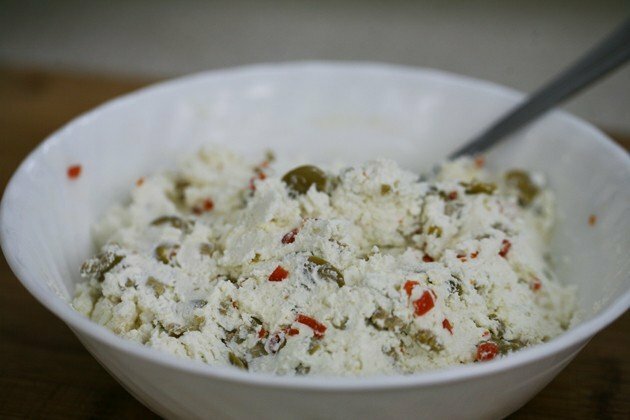 2 cups of cheese = 1lb, this recipe will give you around 3 cups. You will have the investment in equipment at first, but it should still be much more economical, healthy, and fun to make your cheese at home! 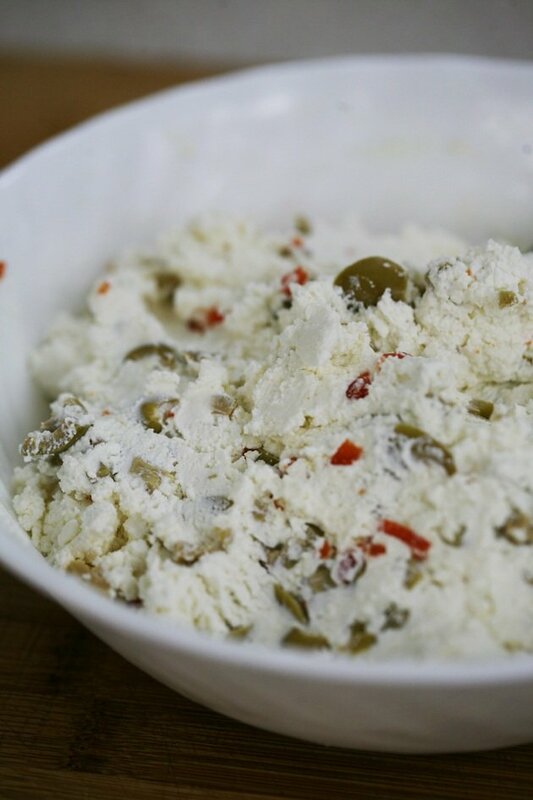 An easy soft, spreadable cheese that you can season to your liking. 2 tablespoons diluted rennet - dilute 3 drops in 1/3 cup of cool water. A cup and a half of Green olives. 3. Stir, cover the pot and let it stand overnight. 5. 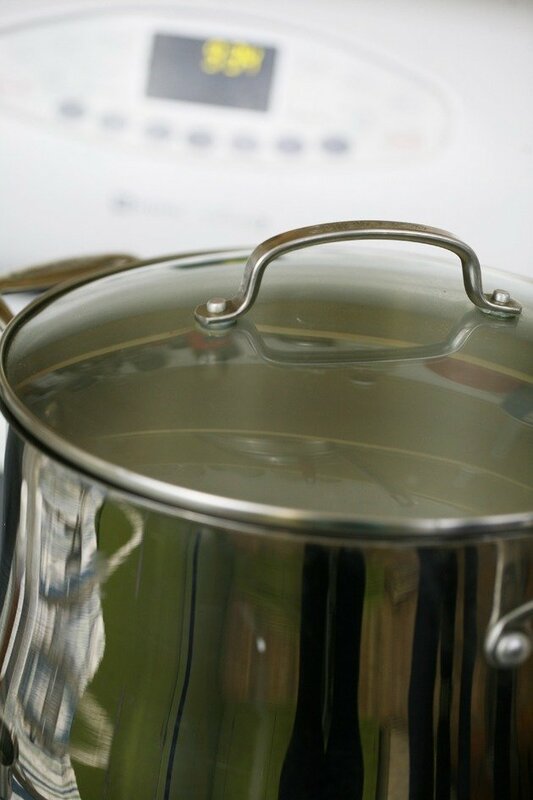 Hang to drain for at least 6 hours. 8. Eat right away or refrigerate. That’s a BEAUTIFUL THING! I think you just hooked me into trying to make cheese! Easy, right? And you get so much cheese! I can’t wait to try it with raw goat’s milk. My new La Mancha goat is supposed to be here by the end of the month.